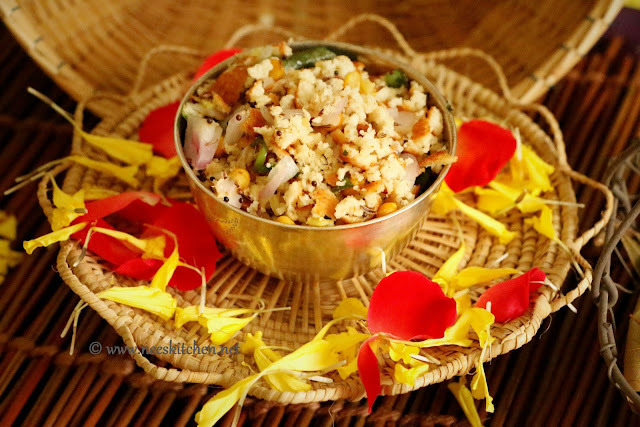 During festivals we cook a lot of dishes and at times we are not sure about the quantity to cook and land up with left overs. So if medu vadai is left out we generally put them in rasam the next day and make it rasam vada. Here is one more alternative to left over vadai’s – “Vadai Upma”. 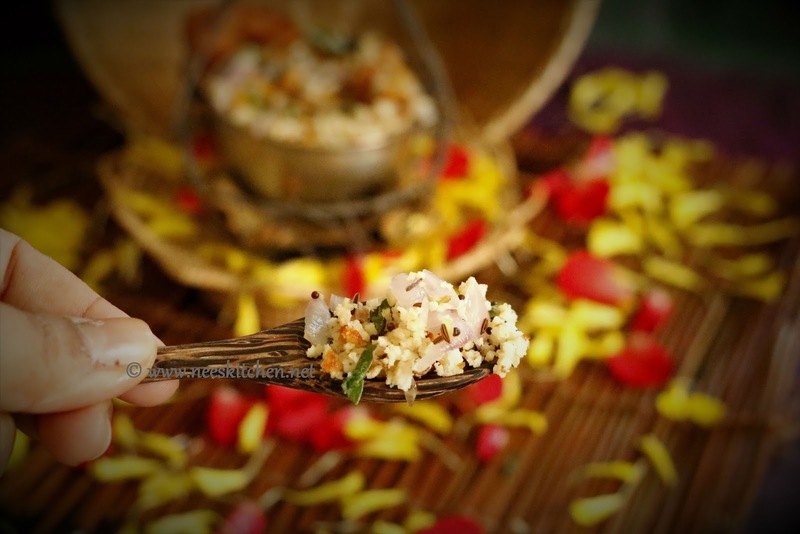 Medu Vadai is crumbled and cooked along with onion’s, green chili, ginger similar to any regular upma’s . Few days back when I invited guests for golu there were some vadai’s left. Hence I decided to make vadai upma which is similar to how we make idly upma’s with left over idly’s. 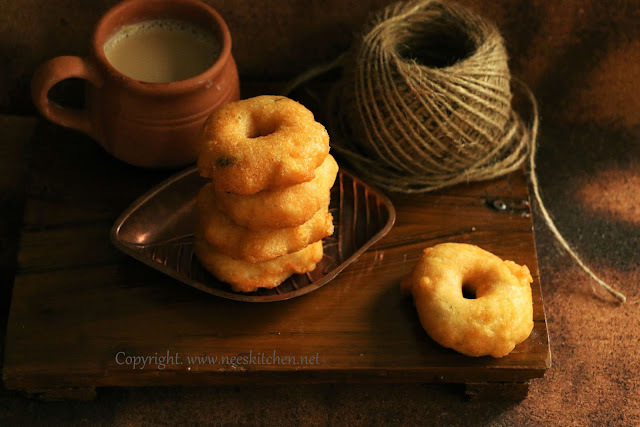 In this post I have not given steps for making vadai however you may check out my other vadai recipes below. The vadai should not be crispy (of course this is with leftovers) and it is good to squeeze the oil out using a tissue paper completely. Use as much less oil for the tadka (temper) as the vadai already has oil in it. 1. Prepare vadai in a regular way. 2. Take the oil out of vadai by pressing it using a tissue paper. You may press very hard as it is fine to break. 3. Chop the onion,ginger,chili into small pieces. 4. Cut or tear the vada’s into pieces and blend them in mixer 2 -3 times. Or you may just crumble using hands. Do not add any water. 5. Take a pan and add oil. 6. Once the oil is hot, add hing,mustard,Bengal gram dhal, red chili and fry well. 7. Add Green chili & ginger and let it fry for a minute. 8. Add onion, salt, turmeric and let it cook well. 9. Add curry leaves and let it cook for a minute. 10. Add the crumbled vadai and mix well. Let it cook well for 2 -3 minutes. 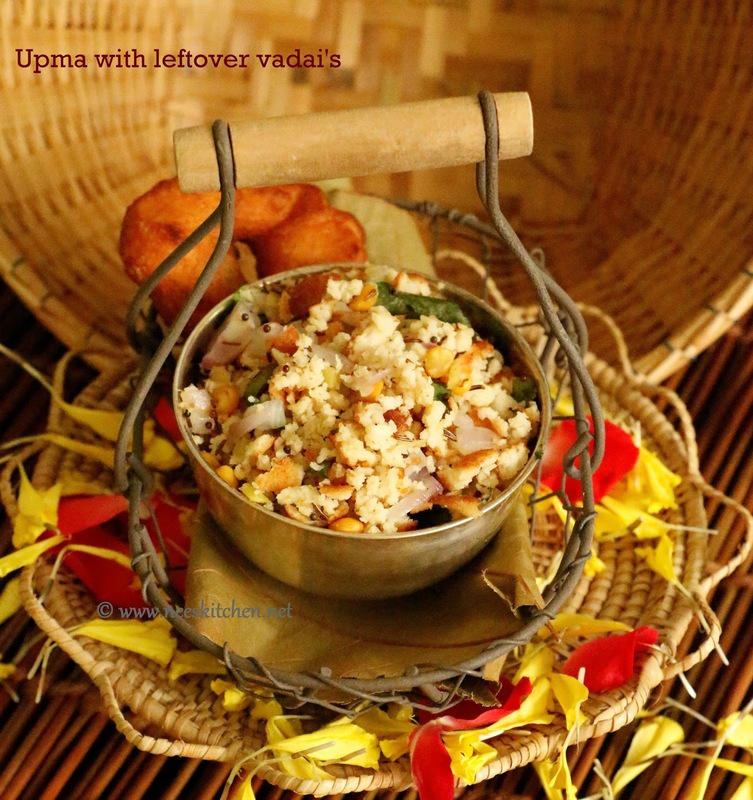 Vada upma is ready. Serve it hot with a good chutney. è Add very less salt as vada has the salt already. è After adding vada mix just cook for 2-3 minutes. 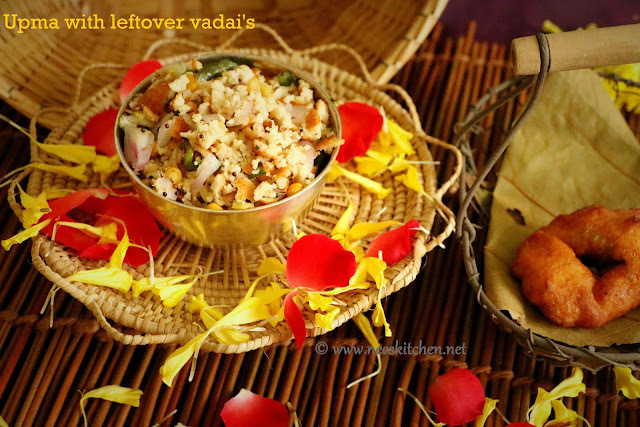 Since the vada is already cooked its not necessary to cook for a longer time again. è It is best to crumble the vada using mixer rather than hands.